Warby Parker Introduces Summer 2015 Collection . . . I was recently approached by Warby Parker to help them announce their newest collection of frames for Summer 2015. For those of you who are unfamiliar with Warby Parker, it is an American brand of prescription eyeglasses and sunglasses that are sold online and in select showrooms across the US. The company was created to fill the void of attractive, quality eyeglass frames sold at affordable prices. There’s a lot to love about Warby Parker. For one, their glasses start at $95, and they offer free shipping and returns. If you do not live near one of their showrooms, don’t fret; they also offer a try-on-at-home program, where you can select 5 different frames, and have them sent to you to try on at home prior to purchasing, for free. Best of all, for every pair of glasses sold, a pair is given to someone in need! Well priced, good quality, fashionable eyewear for all? Can’t beat that! For their Summer 2015 collection, Warby Parker is introducing two new shades; Sea Green Crystal and Ginger Crystal. They are also introducing several new frame styles. I selected two of my favorite sunglass frames, June and Oxley, to create day + evening style boards with so you can get an idea of how you can incorporate Warby Parker’s frames into your own wardrobe. To get a complete look at Warby Parker’s eyeglass frames click here. 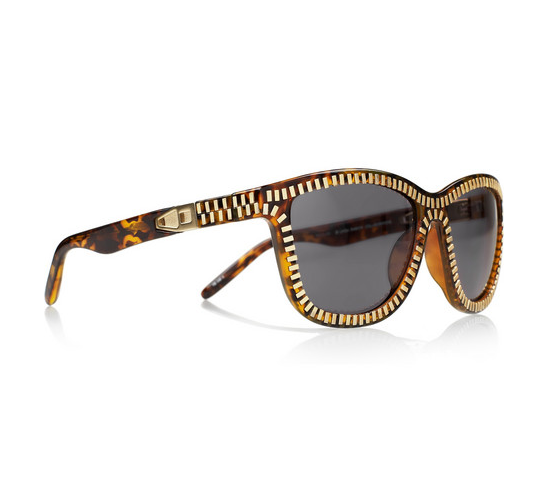 For a look at their sunglass frames click here. disclaimer:: Please note that all opinions expressed in this post are my very own and I was not compensated for this post in any way. This entry was posted in fashion, Stylespriation and tagged eyeglasses, Summer 2015, sunglasses, thelookbookphilosophy.com, Warby Parker on May 12, 2015 by thelookbookphilosophy. Printed Glamour . . . 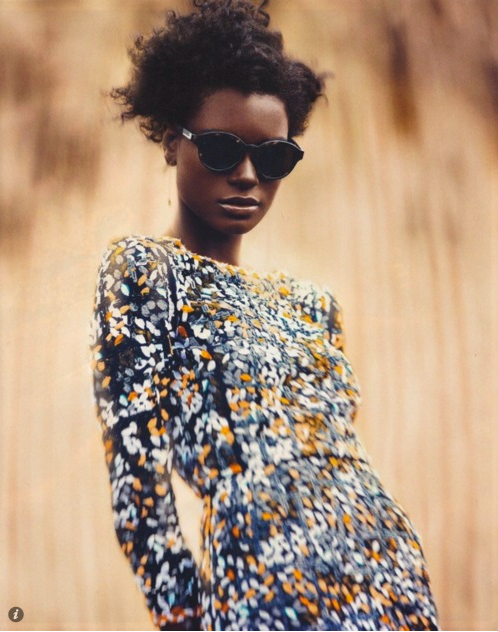 This entry was posted in Current Trends, fashion, Style, Stylespriation and tagged fashion, printed dress, style, sunglasses on April 11, 2012 by thelookbookphilosophy. 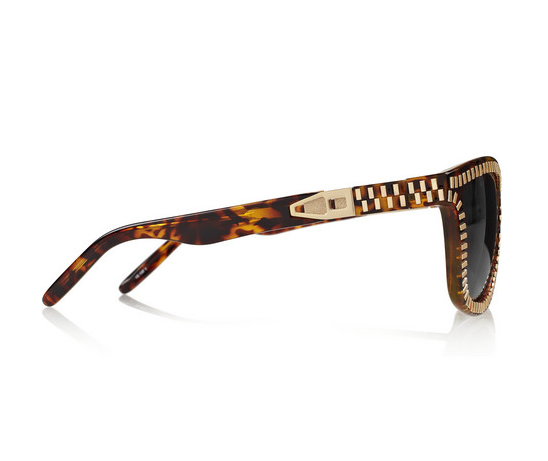 Alexander Wang Zip-effect D-frame acetate sunglasses. 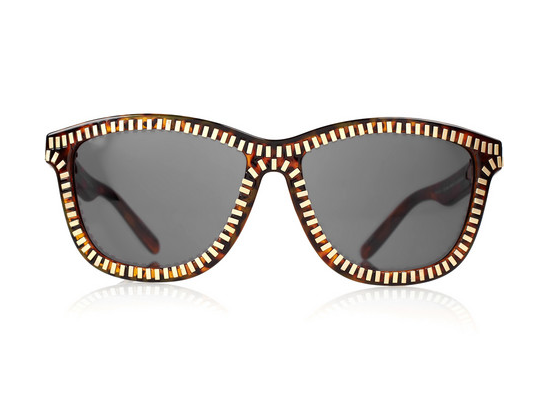 $390 via Net-a-Porter. 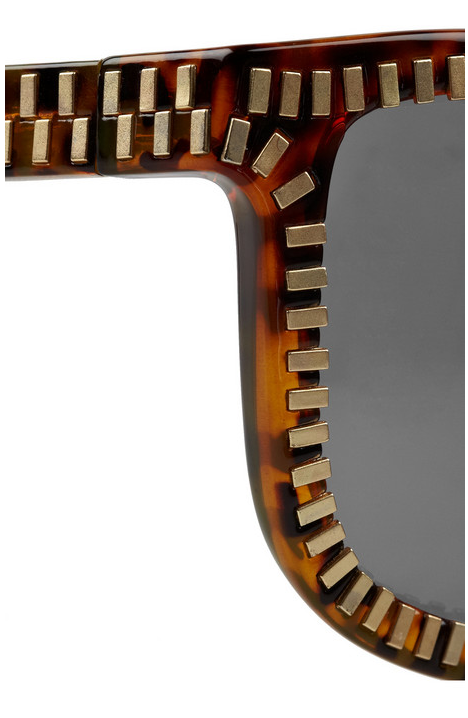 This entry was posted in Accessorizing, fashion, Instantaneous Obsession!, Shopping, Style and tagged Alexander Wang, D-frame, sunglasses, zipper detail on March 21, 2012 by thelookbookphilosophy.